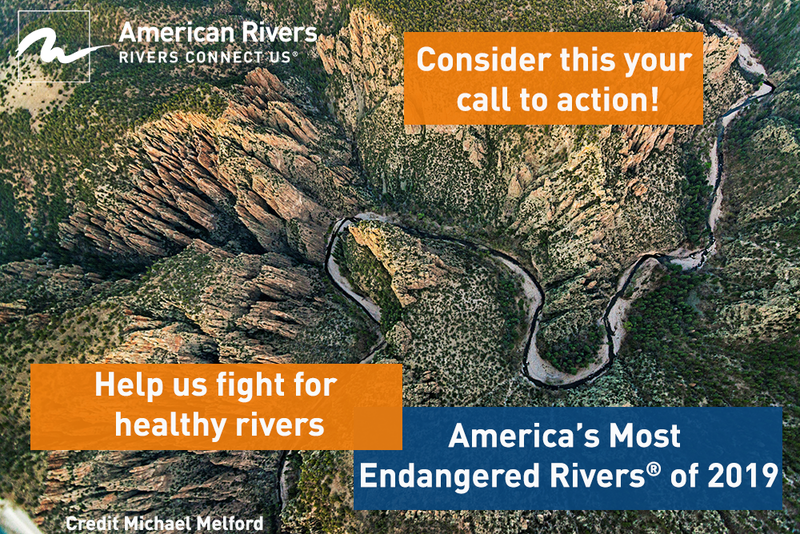 The mission of American Rivers is to protect wild rivers, restore damaged rivers and conserve clean water for people and nature. We combine national advocacy with field work in key river basins to deliver the greatest impact. We are practical problem-solvers with positions informed by science. 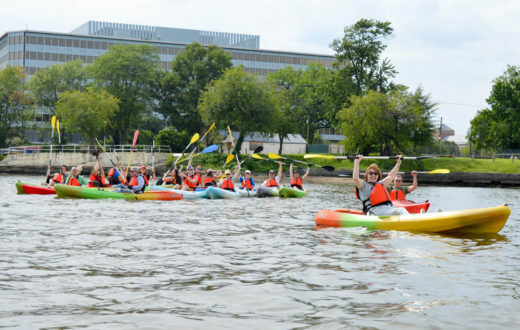 We build partnerships and work closely with local river advocates, business and agriculture interests, recreation groups and others to forge win-win solutions. And with our expertise, outreach, and additional grants, we deliver the highest return on investment. 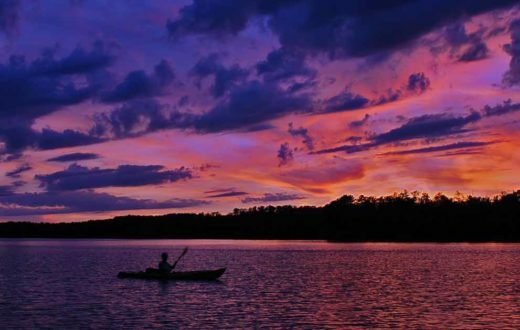 Our generous supporters make the protection and restoration of the nation’s rivers possible. See the graphic to the right for a snapshot of recent successes. Goal: Protect 5,000 new miles of Wild and Scenic Rivers and one million acres of riverside lands. Goal: Remove 400 hazardous and outdated dams, restore 10,000 miles of rivers and 1,000 acres of floodplains. Goal: Reduce pollution in 100,000 miles of rivers and improve clean water for one-third of all Americans. Water is life. Yet rivers and freshwater ecosystems are among the most imperiled on earth. Forty-four percent of assessed waterways in the U.S. are too polluted for fishing and swimming. Forty percent of North America’s freshwater species are at risk of extinction. Climate change is bringing more severe droughts and floods, putting increasing pressure on water resources across the country. More than one-third of all counties in the lower 48 states will face higher risks of water shortages by mid-century as a result of climate change. 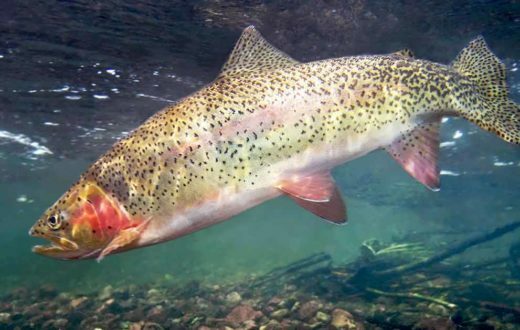 Pollution and habitat destruction threaten fish and wildlife and our own health and well-being. In 1973, the United States was losing its best rivers at an alarming rate. 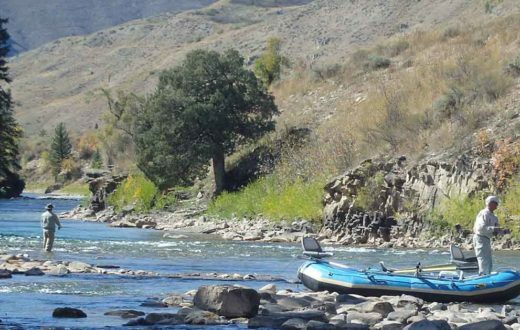 A group of river runners and conservationists met in Denver, Colorado to confront the fact that unnecessary dams were destroying many of the nation’s last wild, free-flowing rivers. 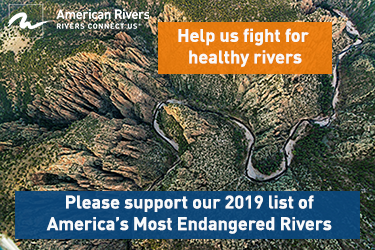 These river advocates also were concerned that Congress had failed to grant federal protection to any rivers since the original Wild and Scenic Rivers Act passed in 1968. They decided to form a national river conservation organization, the American Rivers Conservation Council, which became American Rivers. Today, we are the nation’s voice for rivers. True to our roots, we continue to stand up for wild rivers. But that’s not all – over the years, we have built deep expertise and success on a wide range of issues from clean drinking water to dam removal to flood protection, and many more. With more than 355,000 supporters, we make a difference every day for clean water, rivers and communities nationwide. Rivers connect us – to our past, to our future, and each other. 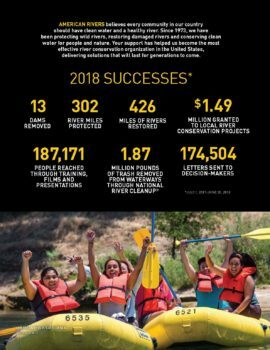 Thank you for helping us build a future of healthy rivers.